His face is scarred, he’s missing the tips of all 10 fingers and he has a long, difficult recovery ahead. But the young firefighter who survived last summer’s deadly Twisp River blaze said he’s grateful for the family, friends and community who have helped him pull through. “This accident was a true tragedy, but it’s brought out what’s good in the world,” said Daniel Lyon Jr., 25. 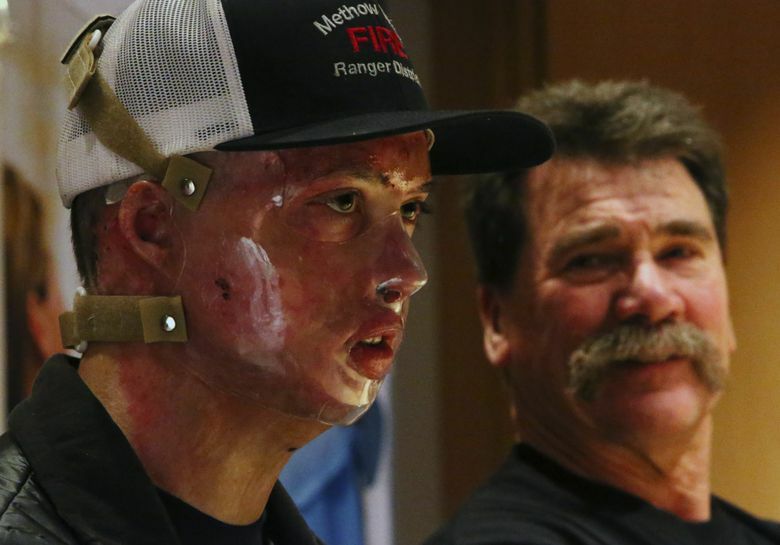 He spoke publicly for the first time Wednesday since the accident that killed three others in the midst of Washington state’s worst fire season on record. 2015 © CIMtech Inc. - All rights reserved unless otherwise notified.